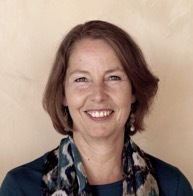 Co-founder of one of the first Community Acupuncture clinics in the U.S.
Mary was an acupuncturist in clinical practice for 30 years and is skilled in the integration of East Asian medicine with dreamwork, somatic therapy, and meditation. She has been a practitioner, an administrator and instructor in an accredited acupuncture college, and owned and worked in two community-style acupuncture clinics for the last nine years of her practice. Mary now focuses on writing and mentoring women individually and in groups. She is passionate about guiding women to reclaim their health on all levels by remembering who they are and reconnecting to their true nature. She is trained in the Hakomi method of somatic therapy, Co-Active coaching, and trauma-informed care for survivors of domestic violence and sexual assault. Mary practiced Buddhist meditation for many years until she met her Sufi teacher in 2000. Here she found resonance in a mystical tradition that honors the feminine and direct experience of the divine. She has followed the Naqshbandi Sufi path ever since. Mary currently lives in Paso Robles, California with her husband, Whitfield Reaves.